Have a passion for creating high quality photographs or video? The key factor for this quadcopter is the 4K footage you can take, all the while being cradled in the hands of the Zenmuse Z5 camera gimbal. This baby is true HD. Not for use by the local AV club, this machine is straight up for professionals only. In this business we call this RTF, or, ready to fly. This means no major assembly required. You don't have to be a mechanical engineer to fly this baby. You can pilot your first flight within the first 10 mins of opening your package. It is important - as with any multi-rotor - to follow the user guide (and our free beginner's e-book) to ensure proper calibration before embarking on your first flight. The DJI Inspire also features a newly designed propeller and installation kits for a smoother flight and prolonged service life. The motor's performance has also improved providing a greater sense of control. 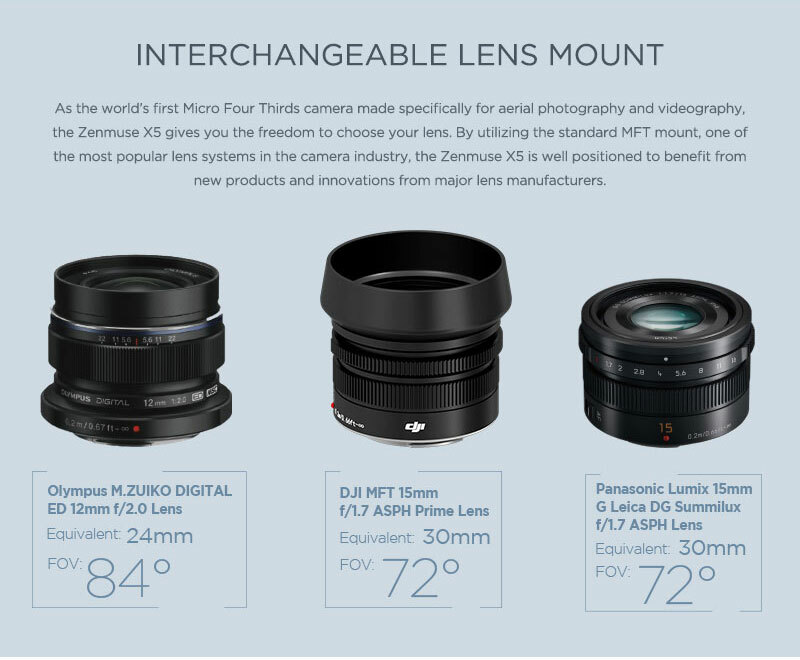 The Zenmuse X5 is able to capture video at up to DCI 4K 4096 x 2160 at 23.98p or UHD 4K at 29.97p. 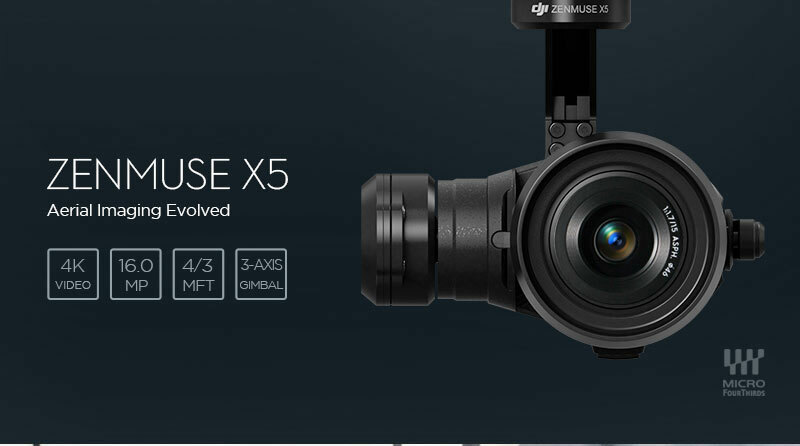 Not just for video, the Zenmuse X5R can snap still from the air at up to 16MP resolution. In addition to single-shot, the camera support busts of 3, 5, or 7 frames and can take time-lapse at stepped intervals of between three and 60 seconds. Photos are captured in either JPEG or DNG RAW. With the X5R, in addition to full-auto, Program, Shutter Priority, Aperture Priority, and Manual exposure modes are provided. 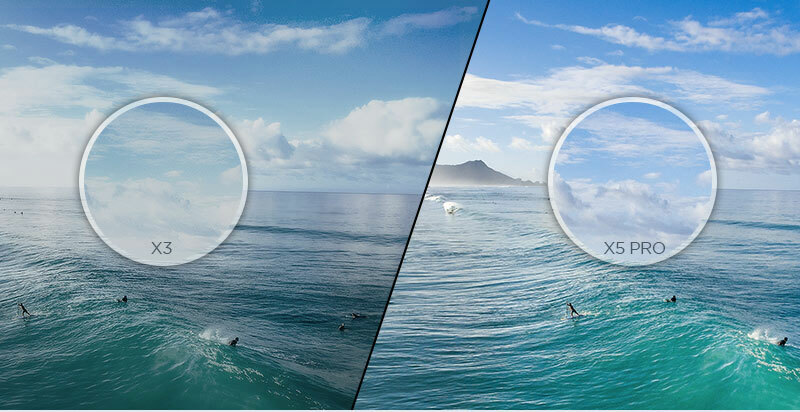 You can change, or toggle, any camera settings, including ISO, White Balance, Exposure, and more on the fly ensuring every shot looks exactly the way you want. Control every aspect of your shot to satiate your inner artistic god-complex. See precisely where your Inspire 1 is at all times on the live map. The map can be enlarged when needed, and shows your most recent flight path. Takeoff and landing are available with just a tap. Tap once to takeoff and your Inspire 1 will hover and transform, ready to start filming. Then tap again to make it transform into landing mode and auto land. Tips: The 1345s Quick Release Propeller is not compatible with the Inspire 1 Pro. Fly your drone for up to 18 mins per flight.